The shares of eBay Inc (NASDAQ:EBAY) skyrocketed after the company agreed to spin off its online payment division, PayPal. The market as well as investors has welcomed the decision, which will help the e-commerce giant to focus on its core business and offer more growth opportunities for PayPal in the evolving online payment industry. Donahoe further added that the split would offer more flexibility, focus, agility, and innovativeness to both the companies. 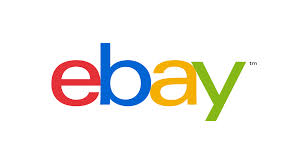 Both Donahoe and CFO, Bob Swan, are likely to leave eBay and work as the board members of either of the two companies. Dan Schulman, who served as the head of online and mobile payment division of American Express Company (NYSE:AXP), is expected to be the new CEO of PayPal. PayPal is the primary gainer as the company would be able to compete with online startups such as Stripe from taking away its market share and form commercial alliances. The online payment industry is hyper active with players like Apple Inc (NYSE:AAPL) and Amazon.com, Inc (NASDAQ:AMZN) coming up with their online payment methods. Majority of the investors are happy with the fact that the split will allow PayPal to grow with the current high tide in the online payment industry.